Calling all Vehicle Enthusiasts & Restorers! 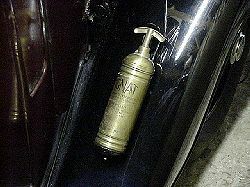 Are you searching for that elusive authentic Fire Extinguisher to complete the restoration of your classic vehicle? 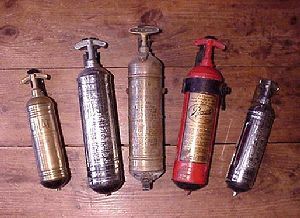 Look no further - We stock a huge range of original Vintage Fire Extinguishers covering the 1920 - 1970 period. 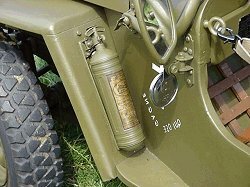 All our Extinguishers are in First Class condition and are supplied complete with the all important 'Original' mounting brackets.